As a Grail Priestess she serves Divine Union through training Grail priests and priestesses to live life as sacred, following the sacred medicine and wisdom wheel of the Great Mother. In the core of the Grail teachings lies the path to fulfillment of man and woman, and their new alliance to re-form and reestablish love as sacred, sexuality as a way of Unio Mystica. The Priest/esses of the Grail hold ceremonies like soul invitation, blessing way, sacred birthing, blessing the newly born, menarchy, sacred wedding, renewals and second birth, letting go, divorce, death as well as the wheel of the year ceremonies to honor the cycles and seasons of nature. 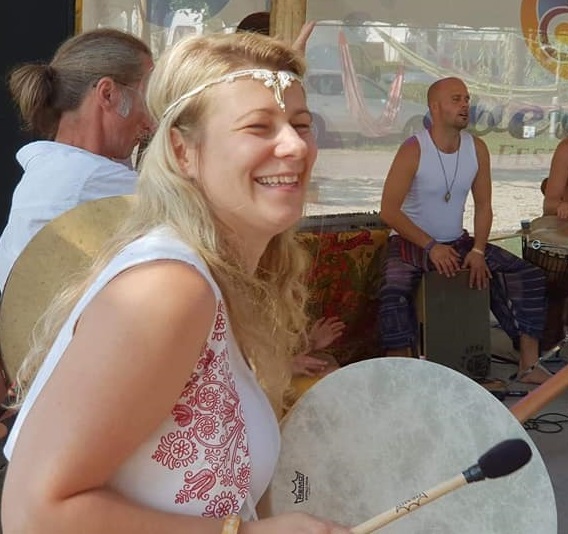 As a teacher, trainer she gives practical teachings on women empowerment, from topics like self-confidence, time and money management or healthy life, along with the activation of female energetic system. She may offer you an easy to do Energy System Activating set of exercises. As a women empowerment activist she frequently gives motivational talks on festivals, conferences, invited to television, radio chats. 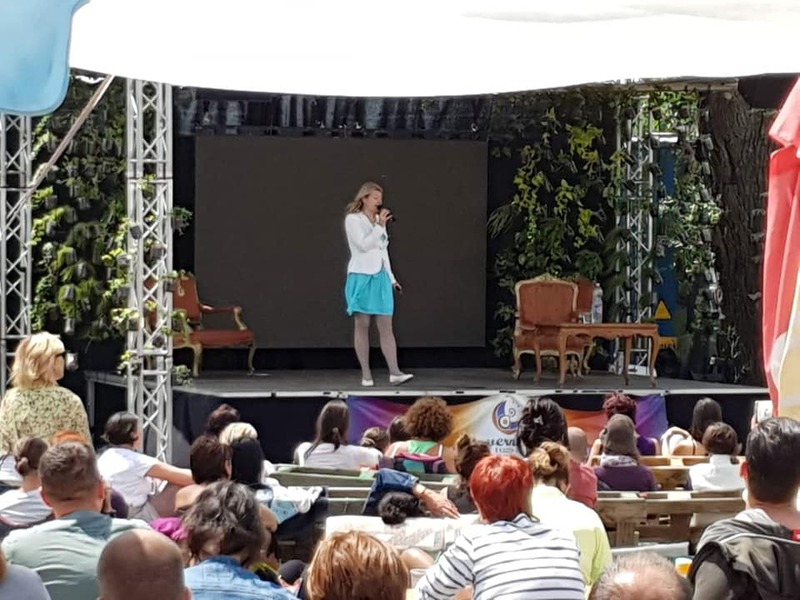 As the founder and leader of the School of The Golden Age in Hungary, she runs courses on becoming Golden Age Men and Women, Golden Alchemy and Unio Mystica. She is also founder of the Budapest Grail Center, the temple of the Holy Grail, where Grail Priests and Priestesses are trained to serve, protect and celebrate sacred life, sacred sexuality. She trains women on how to set up, facilitate, lead and maintain sister circles and communities. Within the healing profession she acquired many tools and methods, among them in kinesiology she is an Advanced Instructor, family/system reconstruction and Sychron Therapy she is a Master Trainer. You may ask for private consultations and mentoring with her in person or via Skype. She can help you with finding and understanding the root of your problem through the time scales in your present life, generational and incarnational past. In consultations she also offers PersonaScope Analysis of your personality, male/female life path, blocks and mission of your life. What started as an inner vocation became mission through the years. She travels the world to sites of the Goddess, searching for the remnants of the Great Mother cults and Her Priestesses’ traditions. You may follow or join her on sacred travels on www.worldgoddessheritage.com. 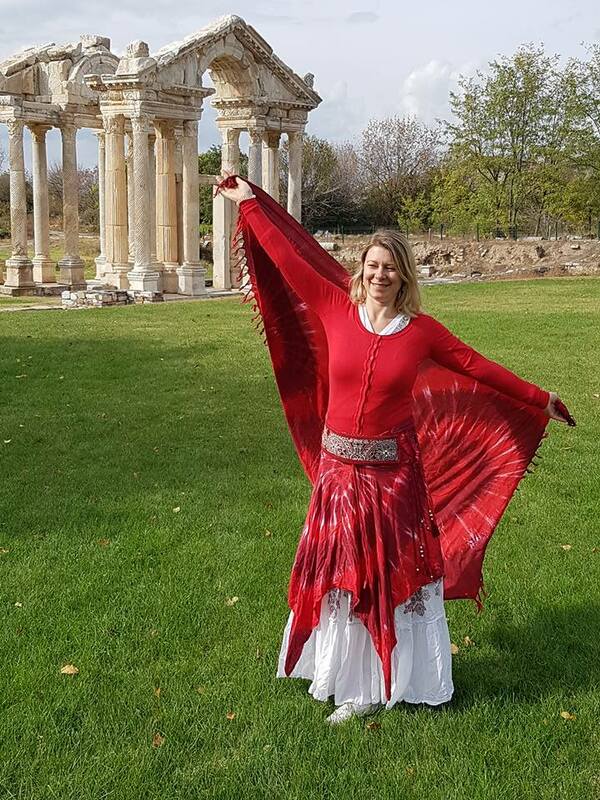 Being a Guardian of World Goddess Heritage, she has written several publications, and regularly holds presentations on Goddess Archeomithology, mostly concerning Old Europe, the Carpathian Basin, and the Cradles of Civilizations through the ages. 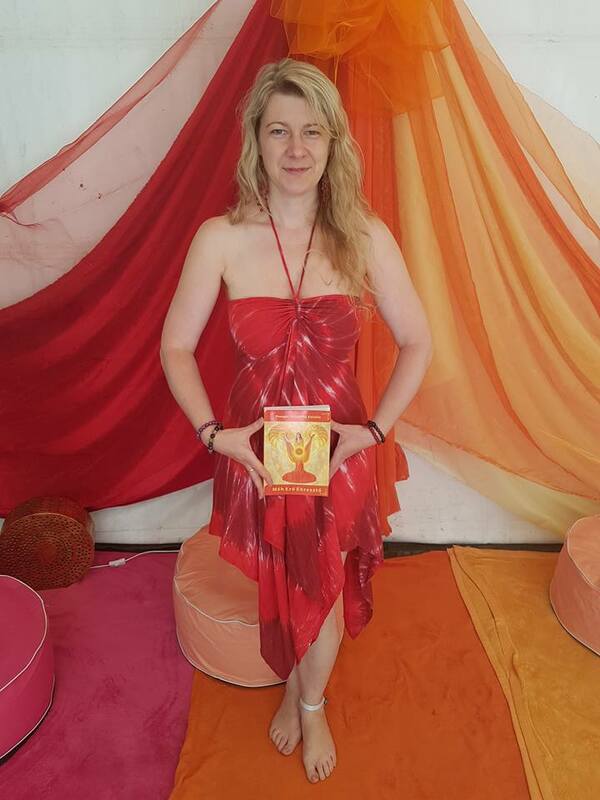 Serving the Divine Feminine Wisdom 7 books of her on different self-fulfilment topics have been published. The bestselling among them titled Womb Empowerment is already available in English. You can see more on this on www.wombempowerment.com. She is also the author of 23 online courses from everyday to business and spiritual topics. She channelled several meditation themes and series especially in mysteries of life. 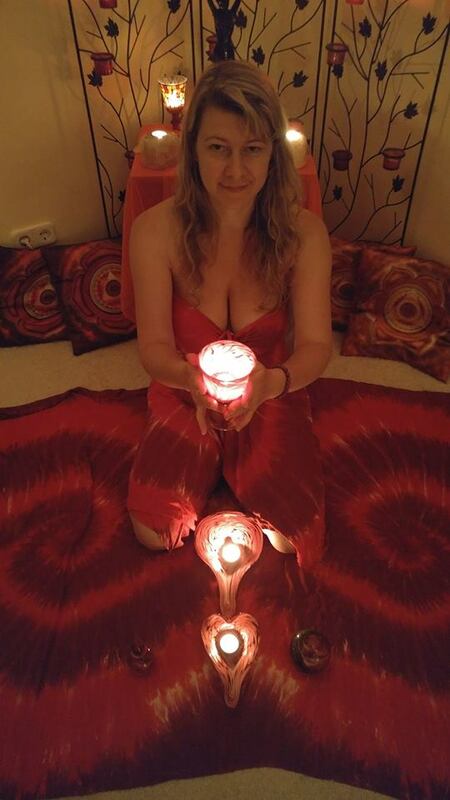 As a priestess of the Great Mother she holds ceremonies recognizing and helping the transition phases in life path, initiates into sacred roles of your life, like that of a sacred lover, mother, sister, priestess, tantrika, community leader, mystery school founder. Her mission includes awakening the Divine Masculine in men, helping them through their coming of age, becoming a lover, father, brother, priest and male circle facilitator, mentor to other men. Her special calling to ancient sites of the Goddess Heritage around the world helps to reactivate a lost tradition, healing Mother Earth grid where and how it is needed. 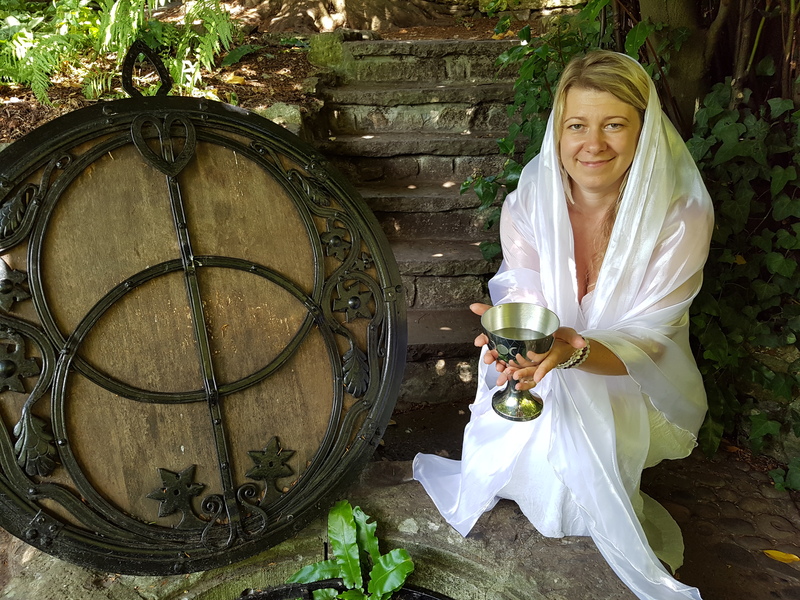 She is also founder of the Budapest Grail Center, where she trains Grail Priests and Priestesses to serve, protect and celebrate sacred life, sacred sexuality and especially the womb as the holy Grail of the Great Goddess embodied in women. When in Hungary you are welcome to visit the Center, check in at www.grail.center before. 7 books of her on different fields of self-fulfilment have been published, the bestselling among them titled Womb Empowerment is already available in English.